This is what I’ve been busy working on all week. 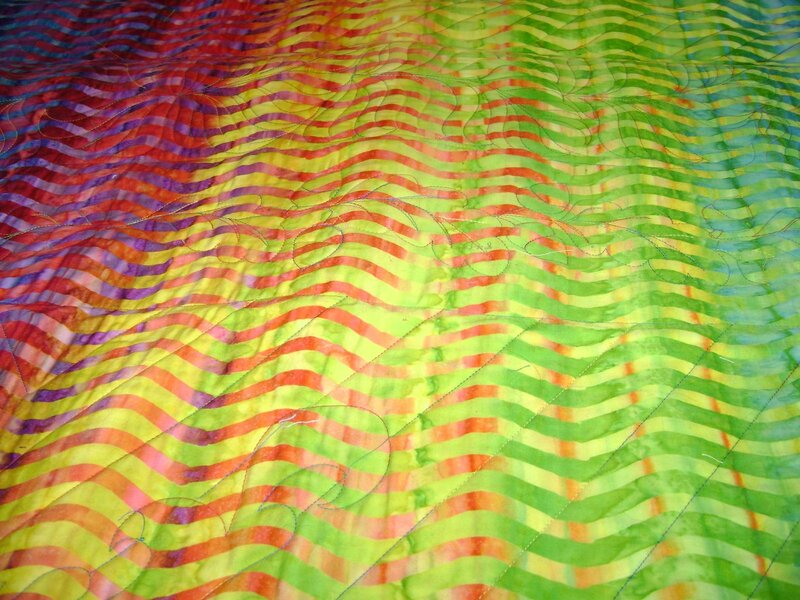 A whole cloth quilt. This is the front. The color is very vivid! It’s easier to see the design from the back. I used verigated thread on both the front and back. 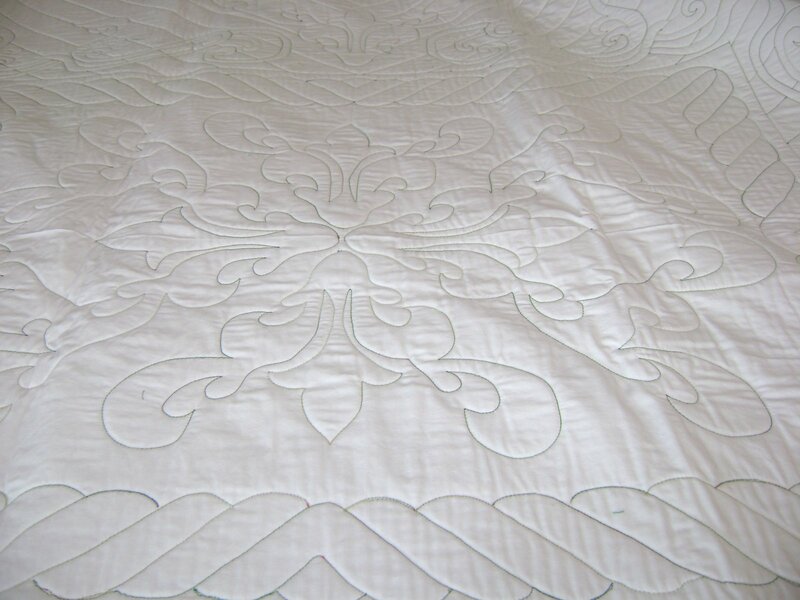 Quilted it upside down because it was easier to see a drawn design on the white than on the color of the top. The customer did not want any overall freehand type design nor did he want any “froo-froo” such as feathers. 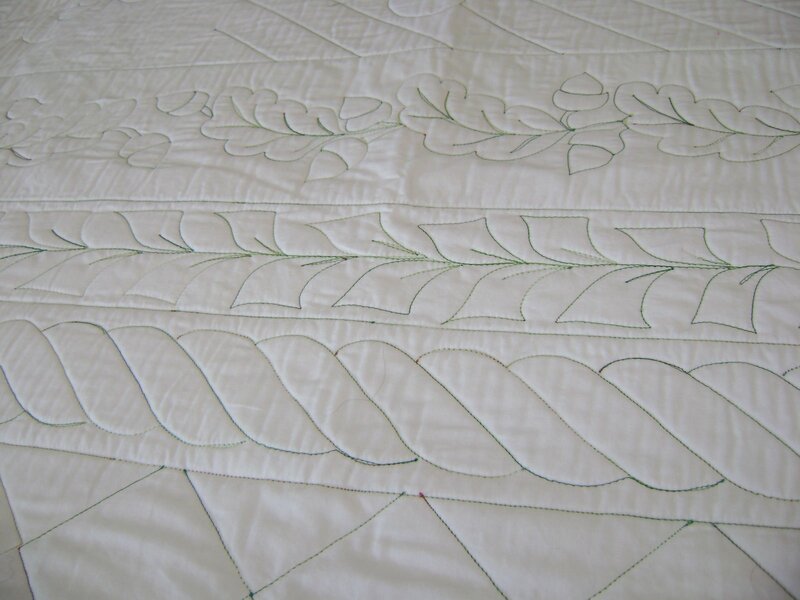 I learned a valuable lesson from doing this quilt. I will not do another one! Unless it is already marked and ready to go onto the machine. It’s too time consuming to actually earn a living. This quilt has put me way behind on the other tops waiting to be quilted. Hopefully this week I can get more accomplished. The bills need to get paid. 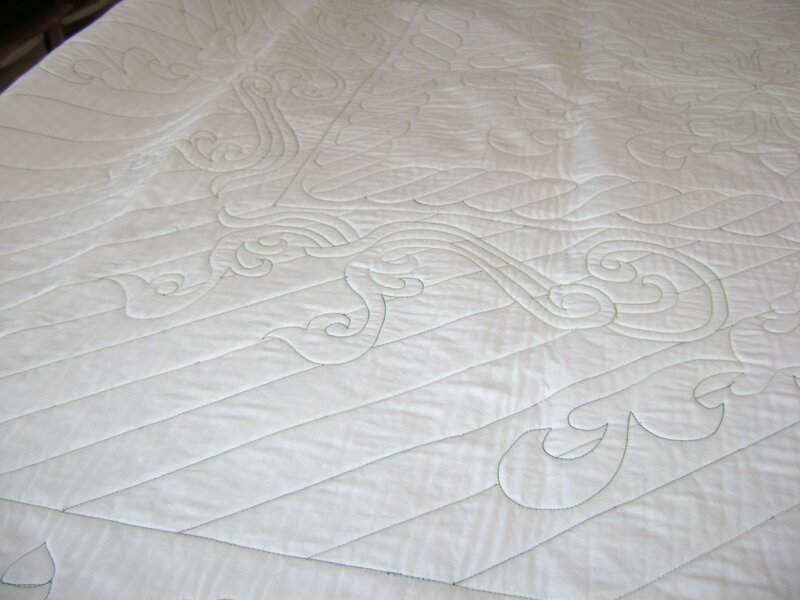 This entry was posted on April 6, 2008 by Anita in Customer quilts 2008, QUILTS - CUSTOMER.